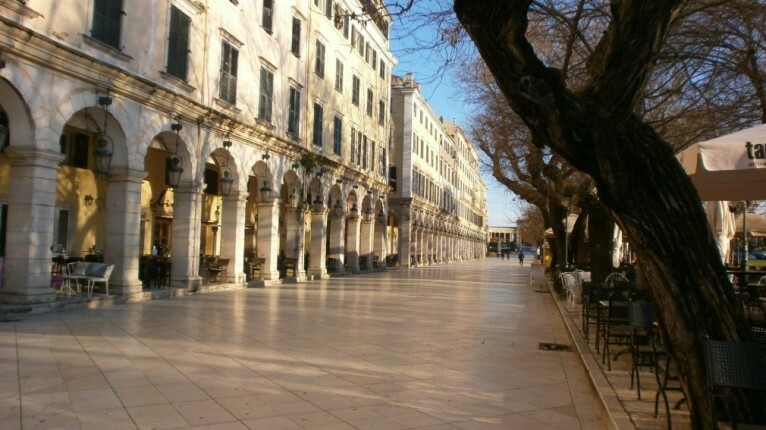 No visit to Corfu town is complete without embarking on a little ‘people watching’ at the famous Liston! Built in 1807 by the French Commissioner Lesseps, it is an excellent example of Napoleonic architecture and its design was inspired by the Rue de Rivoli in Paris. The Liston is an extremely popular meeting place for both locals and visitors alike. A row of cafeterias/restaurants are housed underneath the arcades which are right in front of the cricket pitch which is used regularly throughout the summer by local teams. With its wide pedestrian area lined with huge leafy trees and the Old Fortress towering in the background, it is the hub of the city. On celebration days all parades pass at some point in front of the Liston making it a much desired spot from which to observe the processions – be warned though you need to be an early bird to secure the best seats! The Spiniada which is a combination of a town square and park, is the place where thousands of people gather during the Easter festivities – the pot throwing on Easter Saturday morning and the Resurrection Service at Midnight of the same day. 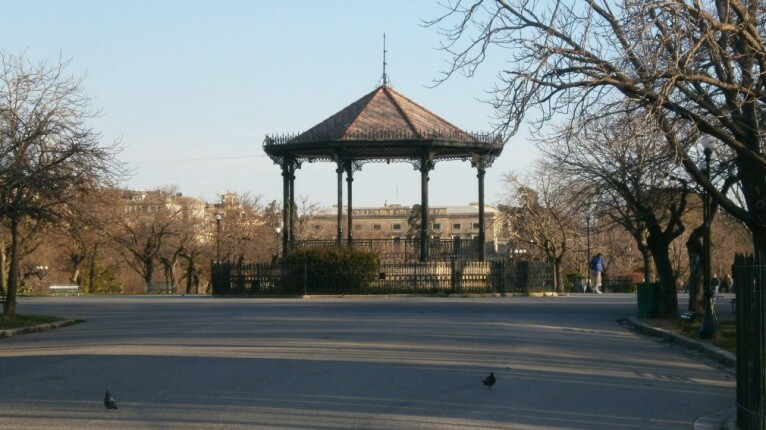 There is an ornate bandstand where the town’s Philarmonic bands perform occasional evening concerts throughout the summer. Beyond the bandstand you will find a circular monument in honour of Thomas Maitland the first British Commissioner, across the road from this you can see a pink coloured building with the Greek flag outside – this was the first university in Greece. 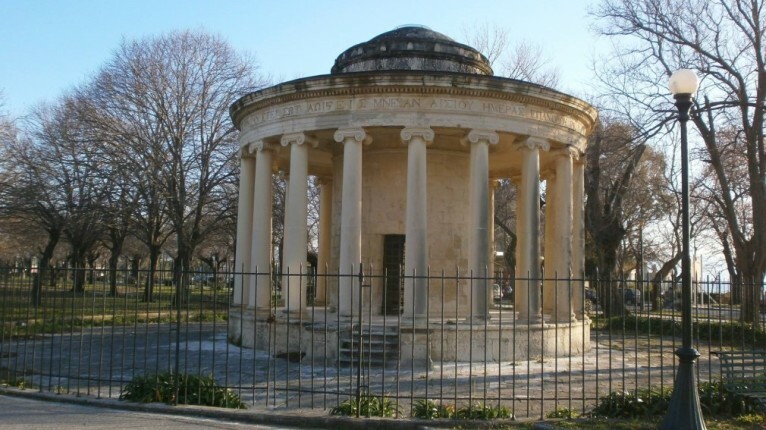 Also in the park area you will find a semi-circle of monuments commemorating the reunion of the seven Ionian Islands with the rest of Greece on 21 May 1864. The Ionian Islands constitute Corfu, Kefalonia, Zakynthos, Lefkada, Ithaca, Paxos and Kythira.